“I’ve Got Your Back”; Our Mission, our promise, our tag line was what Patrick was all about. He followed that axiom as a way of life. The Foundation is proud to say we have contributed to and/or promoted these causes close to Patrick’s heart. 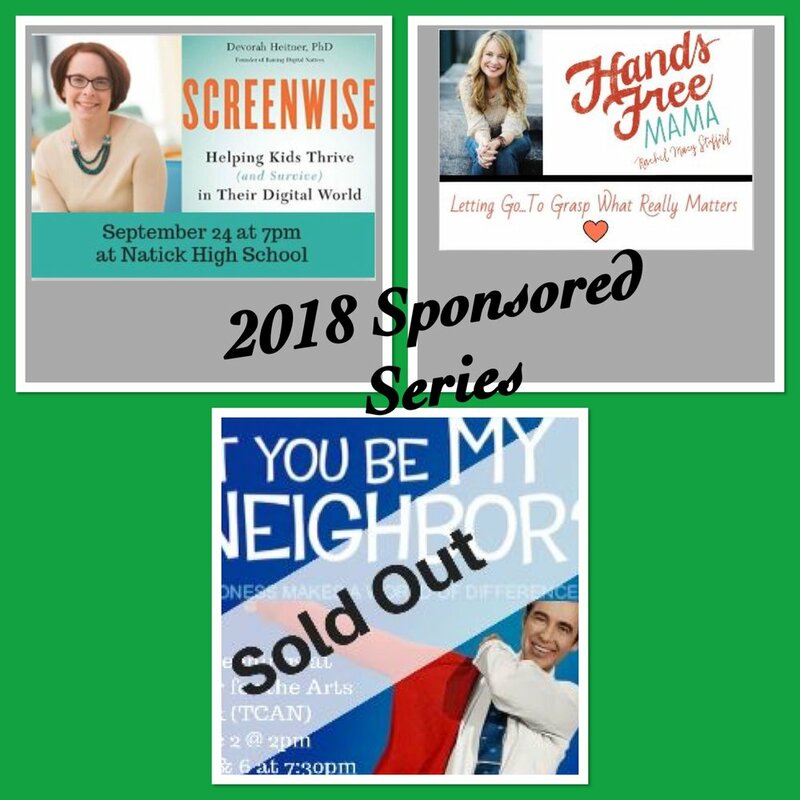 In 2018 PPF sponsored 3 different speaking series through our Platinum Sponsorship of Spark Kindness. Spark brought to us those series that touched on spreading kindness to help alleviate bullying in and beyond our community. For those of us from PPF who were able to attend, I think our favorite was the Mr. Rogers’ documentary. The absolute fight that Mr. Rogers put up to publicly speak out in favor of supporting one another through compassion, kindness and understanding was amazing! He did it with such powerful yet soft spoken words. Look for his documentary on line and on your local PBS t.v. station. PPF is extremely proud to continue our sponsorship of SPARK Kindness. Due to very competitive applicants and extremely generous donors, we were delighted to award scholarships to 6 Natick High School graduating seniors! The foundation is so proud of all our winners who wrote about what it means to them to "have someone's back", something we strive to do, just like Patrick. And, not only were the submissions from this graduating class impressive, but the grades were also astounding. We congratulate all of the graduating seniors and wish you all the very best ! In the spirit of "I've Got Your Back"... Patrick's Promise extends further support to SPARKKINDNESS with their anti bullying initiatives. After meeting with Christine Guthery, founder of SPARKKINDNESS, for coffee to discuss some of SPARK's anti-bullying goals for the year, we knew we couldn't miss an opportunity to work with this great crew. SPARK's continued approach to speak about the difficult subject of bullying with kindness and compassion mirrors our goals to inspire young adults to have each others backs. So... on January 16 we co-funded with Wilson Middle School #iCANHELP. This organization brings awareness to students the part they can play in ending cyber bullying. The presenters were particularly good with the audience; aware of the tender age of the middle school student. The assembly was interactive and fun but remained focused on the goal to alleviate negative texting, Instagram and Facebook posts. The presenters wanted to pass the power onto the students to help make their school community a kinder place to be.